【The Kojiki Picture Cards or KPC】are portable, story-telling picture cards. They show and tell Japanese mythology based on the Kojiki. The Kojiki is the oldest history book of Japan and written about 1300 years ago. All the stories were re-written in easy, simple Japanese, all in Hiragana, and English illustrated with many adorable god and goddess characters. The KPC can be used as your presentation or communication tools in many places such as at home, school or work. 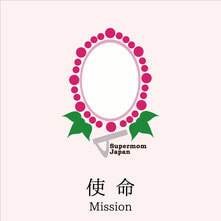 come with the instructions of how to play with them, but if you need any assistance in English, feel free to e-mail us at supermomjapan@gmail.com. The cards are made of high-quality, thick paper and colored by only Japanese traditional colors. Moreover, they are PP coated for durability and their corners are cut rounded for safety. Each set of KPC come in our original color box. There are five colors of boxes in total and they represent the five colored flag used during rituals held at shrines and temples all over Japan. This flag isa said to make your dreams come true. So we recommend you have all the colors of boxes as a set and keep them at home.